The new Shimano Bantam MGL reel is a total new baitcasting reel within the low profile baitcasting models. The Bantam MGL is equipped with unique features like e.g. a new SVS braking system and low inertia spool, making it a perfect fit for casting light lures like small softbaits any crankbaits, but also having enough power to cast medium-heavy baits like bigger softbaits and jerkbaits. Due to the CORESOLID body, which is a one piece frame construction, the reel feels very rigid and solid. The Bantam MGL is a perfect fit for light to medium-heavy baitcasting rods when fishing for all kind of predators like pike, bass, zander. Even casting with light lures for perch and trout is perfectly possible due to the new breaking system, and due to the MicroModule gearing, the reel runs immensely smooth due to less play. Magnumlite is a revolutionary cold forged lightweight aluminium used to construct our light weight spinning reel spools. This material is 30% lighter than Ci4+! Shimano's newest innovation in brake system technology, SVS Infinity provides easytomanage, consistent spool control and brake force. With brake weights that use inner friction against the raceway during the cast, SVS Infinity controls spool speed for precision casting especially when using lighter lures. The external adjustment knob provides for quick, precise adjustments for either the conditions or when you switch baits. 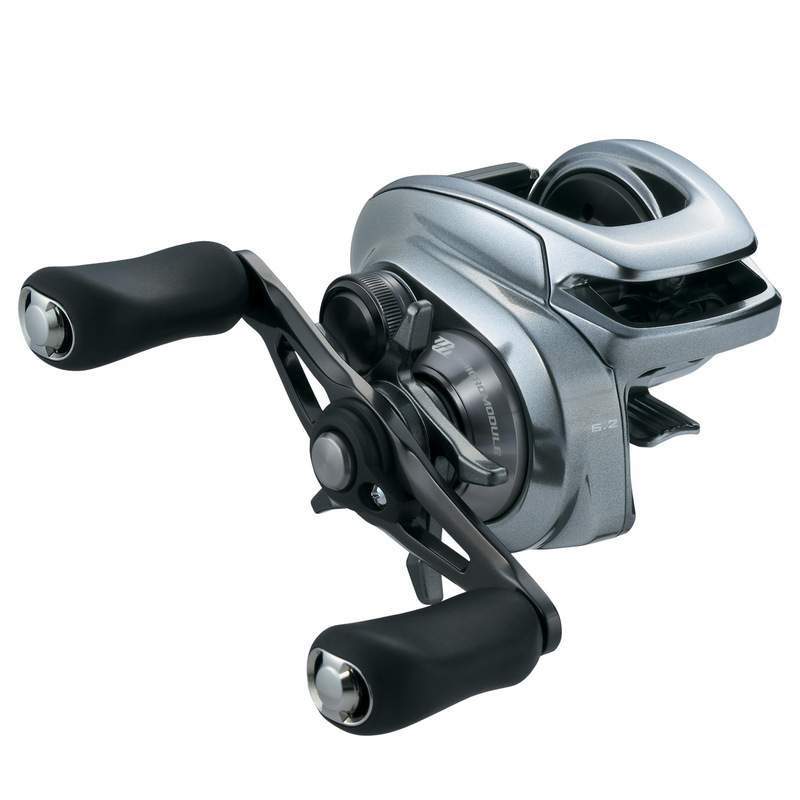 Core Solid is the name for the spinning reels with the characteristics high rigidigty and high inertia (power). Silent Tune is a new Shimano technology. As with any casting reel, the spool rides on bearings. These bearings have pockets in the frame or side plates which house the bearings and are given some tolerance in order to make the bearings more easily changeable. While the tolerance is necessary, it allows the bearings to move slightly during casting leading to the smallest of vibrations that focus energy away from the core of the reel and reduce the distance and smoothness of the cast. Silent Tune technology is Shimano's answer to this issue. They engineered a method to add small springs under the bearings which keep the bearings in place ensuring proper alignment and eliminating any movement or vibration that may occur.